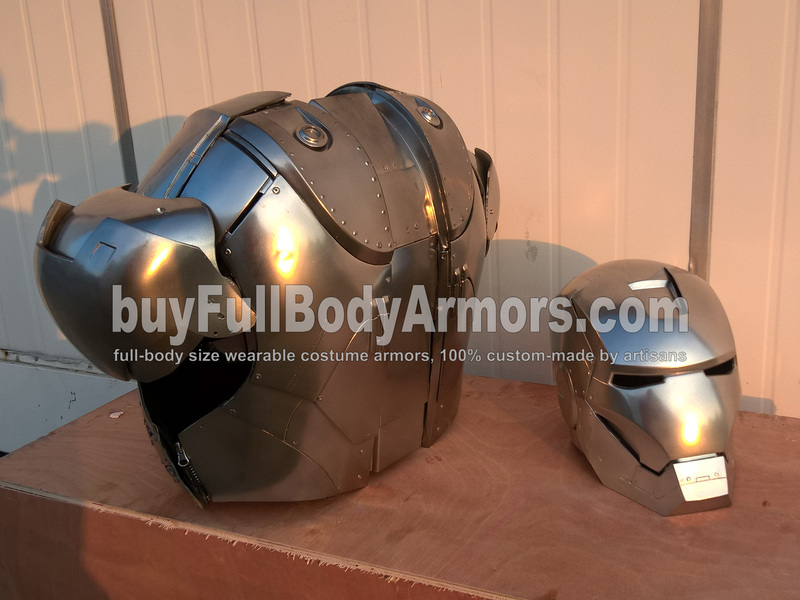 Don't forget the Iron Man suit Mark II (2) armor costume project! It is delayed but will be amazing! This is only a prototype and some structures are not installed, e.g. the chest side cover and 2 shoulder axle caps. 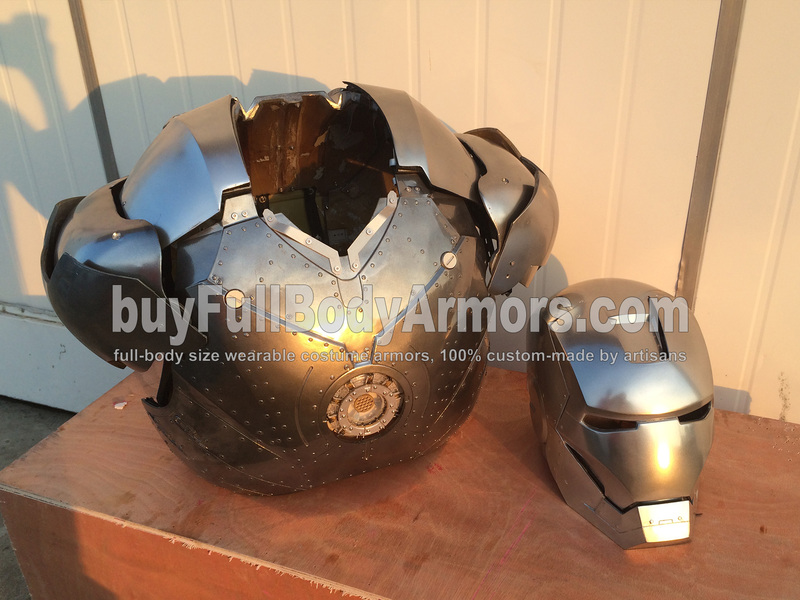 We will post new photos for the top half of the Iron Man suit Mark II (2) armor costume project in a few days. By the way, we will start to take pre-orders of the 1:1 life-size ultra-realistic wearable Iron Man Mark II armor next week. Stay tuned! This entry was posted in News,Iron Man Suit Mark 2 II Wearable Armor Costume R&D Milestones,Iron Man Suit Mark 2 II Wearable Armor Costume R&D Full History and tagged wearable Iron Man Mark 2 armor,wearable Iron Man Mark II armor,wearable Iron Man Mark 2 costume,wearable Iron Man Mark II costume,wearable Iron Man Mark 2 suit,wearable Iron Man Mark II suit,buy Iron Man Mark 2 armor,buy Iron Man Mark II armor,buy Iron Man Mark 2 costume,buy Iron Man Mark II costume,buy Iron Man Mark 2 suit,buy Iron Man Mark II suit,buy Iron Man Mark 2 helmet,buy Iron Man Mark II helmet on Jul 20,2016. 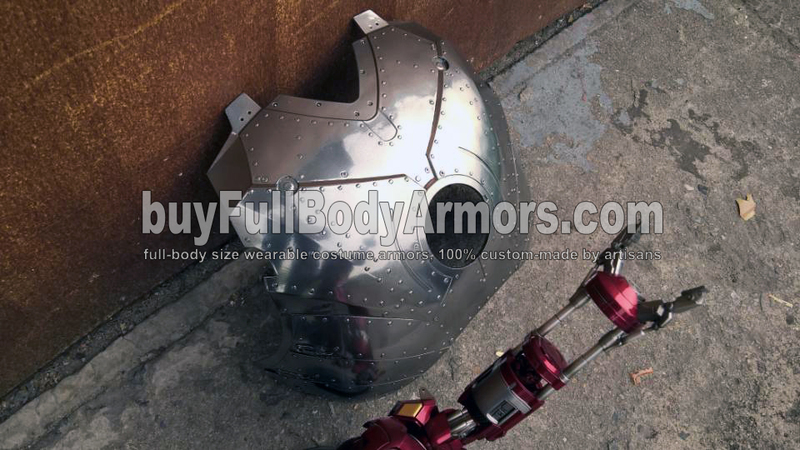 We have finished the mirror chrome silver painting of the Iron Man suit Mark II (2) chest armor. Here is just a quick photo taken by a Win Phone. We will install the Refined Chest Arc Reactor and blue LED beads tomorrow and take some serious photos. If you like the Iron Man Mark II armor, please let us know by emailing to go@buyironmansuit.com We are eager to hear from you! This entry was posted in News,Iron Man Suit Mark 2 II Wearable Armor Costume R&D Full History and tagged wearable Iron Man Mark 2 armor,wearable Iron Man Mark II armor,wearable Iron Man Mark 2 costume,wearable Iron Man Mark II costume,wearable Iron Man Mark 2 suit,wearable Iron Man Mark II suit,wearable Iron Man Mark 2 helmet,wearable Iron Man Mark II helmet on Apr 10,2016.